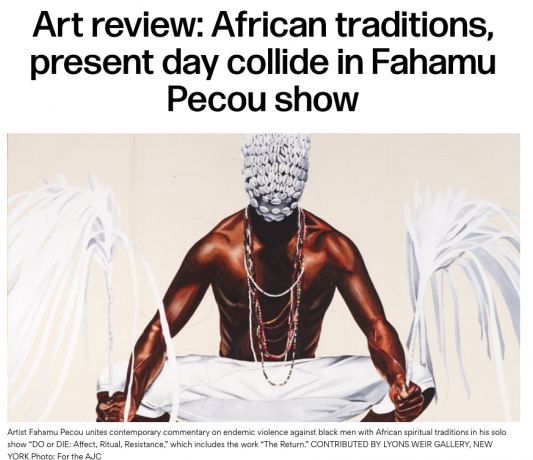 Pecou's exhibition "DO or DIE" at Emory’s Michael C. Carlos Museum uses a variety of media — painting, drawing, photographs, installation and video — to channel a healing, transformative African identity. An outgrowth of the Atlanta-based artist’s 2018 Ph.D. dissertation at Emory, “DO or DIE” makes history in its own way, as the only solo exhibition at the Carlos featuring a living Atlanta artist. Download PDF Catalog "Autumnal Group Exhibition"
Driven by the desire for adventure and discovery, Cobi Moules embraces the beauty of nature all the while shifting its weight through the exaltation of his own existence within, and as part, of it. This is best exemplified by the way he incorporates multiple self-portraits throughout his compositions. The multiplicity of self takes both precedence over, as well as integration into, the landscape creating a world with a sense of excitement, self-worth and play. 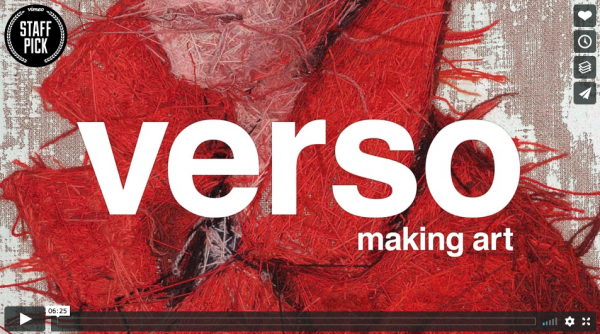 These Hyperrealistic Portraits Are Actually Made from Yarn! Artist Cayce Zavaglia is a master of illusion. 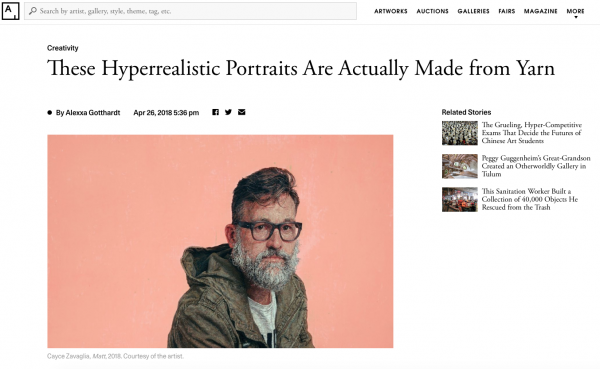 From afar, her portraits look like hyperrealistic paintings. Get up close, however, and you’ll discover they’re actually constructed from yarn—thousands of tiny knotted, layered strands of it. Zavaglia never expected to take up embroidery. In fact, she shied away from it during art school, where “fiber was kind of like the art world’s ‘f-word,’” she told Artsy. While working on both her BFA and MFA, she focused on figurative painting, looking to the great portraitists who came before her, like Lucian Freud and Elizabeth Peyton. "I can't do portraits of people that I'm not connected to. I think there's something about doing people that I know intimately, that puts something in the portrait that I can't put into words ... or I don't want to put into words, because I want to keep it private. But making the portrait, says everything that I can't say with words." 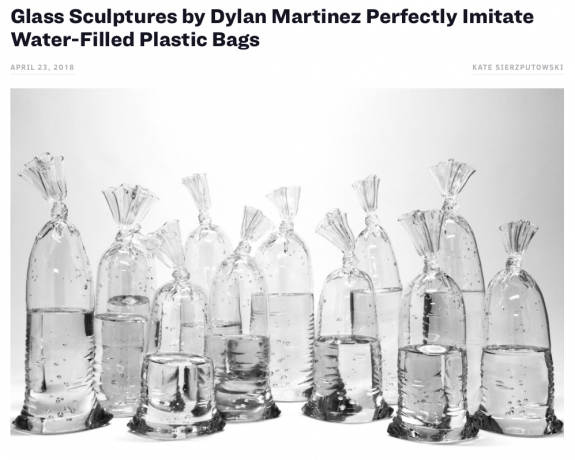 Artist Dylan Martinez combines several glassblowing and sculpting techniques to form hyperrealistic plastic bags from molten glass. 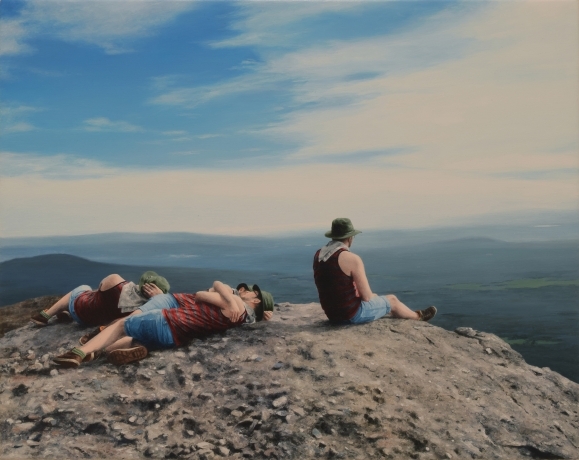 Through these works, Martinez creates scenarios that obscure the viewer’s interpretation of reality and illusion. His curiosity in this subject matter is sparked by the fact that he was born red-green colorblind. 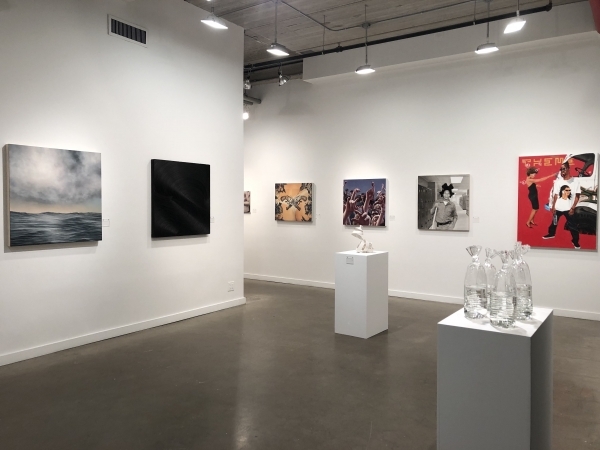 This has presented Martinez an alternative way of seeing, and encourages his fascination with obscuring common perception in his glass-blown works. 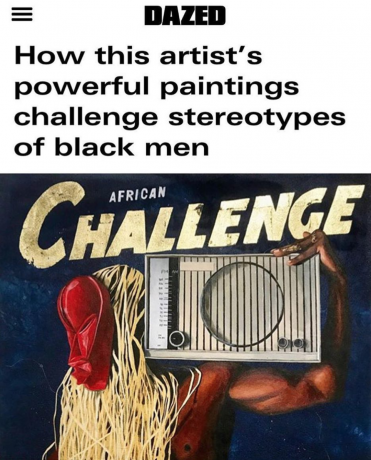 Over the past two decades, Fahamu Pecou has used his work explore, examine, and embrace the power and presence of black masculinity in a country that alternately marginalises, fetishises, and vilifies countless lives. Pecou speaks about what it takes to challenge the status quo, claim your space, and transform the narrative to empower, inspire, and elevate. 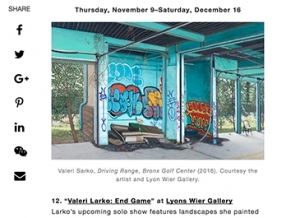 Larko’s upcoming solo show features landscapes she painted on location at an abandoned golf center in the North Bronx. When she painted her first work there in fall 2013, she pushed her painting gear under the fence and squeezed through a break in the locked gate. She was only able to complete one small work before a detective caught her in the act of trespassing and “strongly suggested that she not return.” However, she did return repeatedly and has captured in detail the once vibrant family entertainment center that now contains crumbling old structures and which nature is gradually reclaiming. Interview of James Rieck by Yasemin Vargi for exhibition "Rapture." Los Angeles based artist James Rieck's newest body of paintings mines that euphoric moment of awareness when emotions are born. 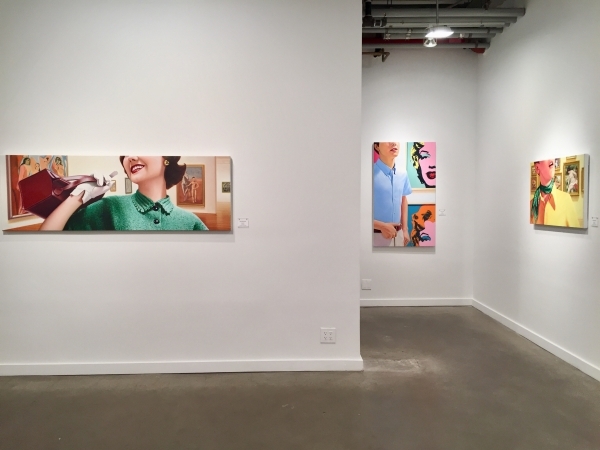 Rieck combines imagery of highly sexualized historical masterpieces that are on public display along with models extrapolated from 1950’s and 60’s commercial magazines. Charged with ambiguity and boldness, the paintings capture a private moment of awareness and desire.